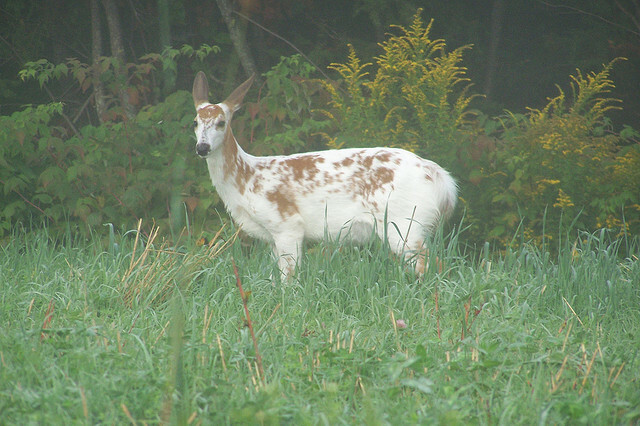 I had gotten up and let the dogs out when I spotted something white and brown in the woods. My mind first thought, 'goat', since the coloration seemed to fit a goat best. Then I saw all the other whitetail deer wandering around. My mind then thought, 'mule'. I don't know why it thought that, I guess I was still sleepy.